Solving Tomorrow's Educational Challenges, Today. School District Online is an innovative Student Information System and School District Management System that has unmatched security, reliability, and flexibility. 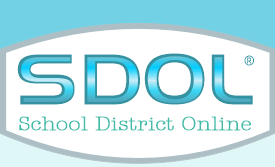 SDOL allows you to manage not only your district, but also your individual school sites. Learn more about SDOL, and see how it is the ultimate provider for comprehensive and user-friendly online educational tools. SDOL is unique, as it is one of the only single-integrated systems on the market, which prevents data discrepancies from arising between separately-functioning features since all information is validated and shared across every module. Also, SDOL is highly customizable, yet intuitive and simplistic in nature. SDOL provides a plethora of features, such as scheduling, attendance, report cards, discipline, state reporting, assignment management, web publishing, event scheduling, and many more. Copyright (c) 2001-2019 EL SoftWare, Inc.